This train of speculative thought could run on and on, but the gulf between our lifestyle, and that of Christ or any of His disciples, is not the point of Proverbs 3:5. The verse addresses a narrow sliver of our being, i.e., our “understanding”: our thoughts, ideas, and beliefs. I only mention lifestyle to illustrate how far away we are from true attainment. We can easily see, in other words, that we are driving around in a heated automobile and sleeping in a comfy bed, and compare that to walking with only one staff and pair of sandals, or fasting in the wilderness for 40 days. It is more difficult to see how distant our ideas and beliefs are from the commandments of Scripture. If we think about Biblical principles and compare them to our own lives, it eventually becomes painful. Psychology has a term for this pain: Cognitive dissonance. It occurs when our ideals and our conduct conflict. We spend an enormous amount of effort to avoid the pain of cognitive dissonance. Imagine, for example, a Christian minister walking past a homeless beggar on the street and not helping him out. How does our minister manage to get to sleep that night? Strategy number 1 is, believe it or not, simply forgetting. Our minds will bend so that we remember something different than what happened. When our minister reads, even the next day, Matthew 25:31-46 (“Lord, when did we see You hungry . . . ?”), he will not remember seeing the homeless beggar. Indeed, if you stopped him ten seconds after he passed the beggar, he might swear he didn’t see him! If you guessed that this was said to a politically conservative congregation, while Obama was President of the U.S., you guessed correctly. (I did not have a chance to ask him if a Christian in Nazi Germany or Soviet Russia would, then, be obligated to submit to governmental authority.) I suspect, today, that “liberal” churches are finding ways to avoid the clear meaning of this commandment, while “conservative” churches are finding it more attractive! There are dozens and dozens of Biblical statements that are inconvenient to our mindsets. Every single one of us has some part of the Bible that we discount, an ideal given to us by God that we warp or discount in our mind, basically — well, basically because we do not want to follow it. We do not “agree” with it. 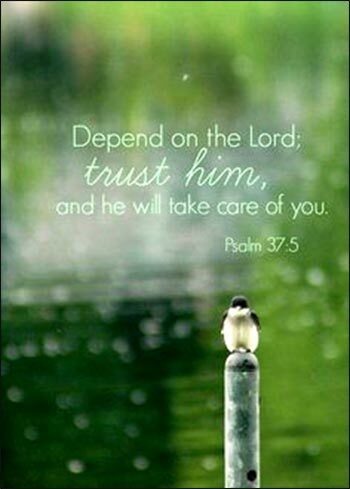 We do not trust in the Lord, but lean upon our own understanding.